Here at WhatShed, we find beekeeping fascinating and the fact that bees are having a really hard time at the moment makes anyone who is into beekeeping really cool in our book. Beekeeping is actually very popular and you will not bee-lieve (that was the first and last bee pun) the awesome beekeeping blogs that we have found for you. Beekeeping and bees in general are very interesting and we have no doubt that these blogs will give you some great tips if you are a beekeeper, or at the very least open your eyes to the world of beekeeping and how important it is. Thomas Bickerdale is the man behind Beekeeping Afloat and if you are wondering what the strange name of the blog is all about, well it is a mix of Thomas’s two loves, beekeeping and floating down the Grand Union Canal on his narrowboat home. This is a fantastic blog and we just love all of the great tips and hints that Thomas shares with the readers. He has a few different beehives, so he is a guy who knows exactly what he is talking about. There is just something so charming about this blog that you cannot help but read just one more of his posts. A huge reason for this is that Thomas is kind of like the A-Team of the beekeeping world in that he has built some really cool things that have helped his beekeeping. Things like a wheel barrow based solar wax extractor and a honey warming cabinet. These and his other creative inventions are all very clever and reading about how he got the idea for them and how they will help him care for his bees and make some natural and delicious honey is a lot of fun. 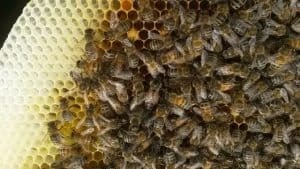 Thomas really goes into depth with his posts and the one where he talks about how he lost a few of his beehives is sad, but the way he describes it also gives you a better understanding of why these things can happen. Tanya Weaver is our kind of lady! She has a sweet tooth and judging by how quickly the box of doughnuts disappears in the WhatShed office on a Friday, so do we. This is a blog that is just a lot of fun. Tanya is actually a journalist so her writing style is just top notch and she does a great job at explaining things in a fun and amusing way. If you want to read more about the light hearted side of beekeeping, then this is the blog for you. Tanya does all kinds of stuff with her honey. Puts it on toast, in cereal, makes cakes with it and if the mood takes her right she just might eat it straight out of the jar! Tanya gives all kinds of tips and recipe ideas for you and that is awesome. 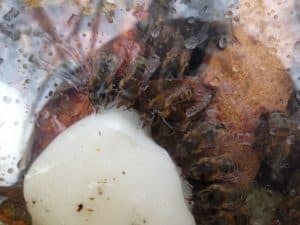 As well as this, she has some great blog posts that tell you just how her own beehives are going and what she is doing to make sure the bees are as happy and productive as can be. David Evans from Fife in Scotland is a long time beekeeper who has some of the best beekeeping tips that we have seen. One of the best is his ways of keeping the bees fed and happy during the colder months by using baker’s fondant. This particular blog post was very well received so we highly recommend you check it out if you are worried about how to feed your bees when it gets colder. David has a ton of great tips for people who are new to beekeeping. But in addition to this he has some fantastic ideas for even more veteran beekeepers that are sure to help them out. Just so you know, David knows what he is talking about as his day job is a research scientist who looks at the way viruses can affect bees! So you can be sure any tips that he gives you will be worth trying out. Bermondsey Street Bees is a great beekeeping blog that is run by Dale Gibson from London who is a city beekeeper. This shows you just because you live in the city does not mean you cannot have a bit of green. He is a very well respected beekeeper who actually speaks at conventions and has his honey, Bermondsey Street Honey actually sold. This is award winning honey, so more than a few of us in the office want to give it a try! 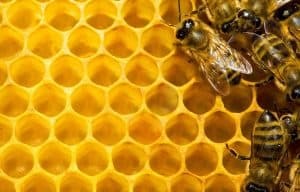 We feel that Dale’s knowledge of beekeeping really is astounding and even if you have been beekeeping and making your own honey for years, Dale is sure to have a few tips and ideas for you that will help you out. 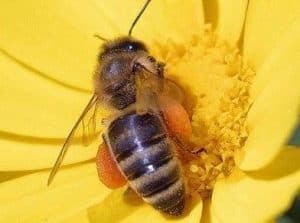 For someone who does not really know a whole lot about beekeeping, The Bermondsey Street Bees blog is a great way to learn and we are sure that you will be fascinated by how much work Dale does to not just make sure his bees are well looked after, but also spread awareness about bees and the trouble they are having. This is a really cool blog about bees, and it is not actually just all about beekeeping. Adventures In Bee Land is a blog from Emily Scott who has done a wonderful job in sharing her love of beekeeping with the masses. What we really like about this blog is the way Emily makes it all sound so easy. 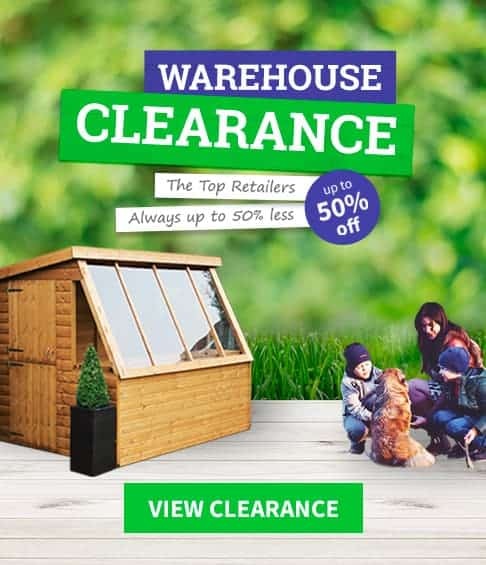 This is because when she gives advice, such as looking after bees in the winter, she does it in a way that is very easy to follow and understand so even a novice (like most of us here in the WhatShed office) will be able to understand. As well as posts about beekeeping and bees in general, Emily also loves to blog about her personal life ranging from her child, to cats, to getting to taste all kinds of tasty food when she went to the National Honey Show. In all, this is a blog that we really enjoyed and we feel that Emily’s infectious personality really does make you want to keep on reading. Many people are blissfully unaware about the plight that bees are facing. Some simply do not understand and others have no clue how bad things would be without bees. That is what Buzz About Bees by Amanda is all about. Back in 2010, she realised just how bad things were for bees and became really concerned so she decided she was going to do all that she could to spread the word. She wants to make people stand up and notice just how important bees are and that they are in great danger. We think her cause is awesome and hopefully people will take notice. As well as talking about how to protect bees and their plight, Amanda’s Buzz About Bees blog also has a fun side. She has a lot of facts such as elephants are scared of bees and in Africa farmers use bees to scare away elephants! How crazy is that? There are tons of fun and interesting bee facts on this blog. Chris Slade is a veteran beekeeper who has been part of the scene since the late 70s. We are sure that even a seasoned beekeeper who thinks they know it all will learn a thing or two from Chris. 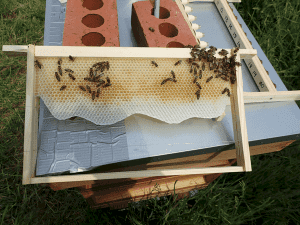 Some of his blog posts like the one about his bee gym, which is a way to help the bees to keep varroa mites out of the hive, are truly engrossing to read, not to mention very helpful if you want to make sure your bees stay in tip top shape. As he has been beekeeping for so long, Chris has a million tips for beekeepers, both those who have been at it a while and those new to the scene. He has a very friendly and laid back writing style that makes reading each blog post nice and easy. 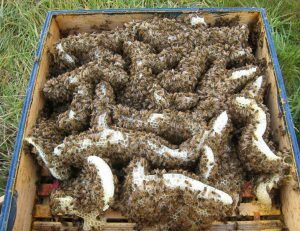 Many beekeepers in the UK will make it a point to mention this blog when giving newbies advice. Smoke And Wax is the blog of seasoned beekeeper, Paul. We must say, we really enjoyed reading his blog. While there are a ton of great hints and tips here, we really enjoyed reading what is best described as Paul’s beekeeping chronicles. There he tells you about the day to day keeping of his bees and what he is doing to make sure that they are well looked after. One of the most impressive blog posts is his work on Foundationless frames which is something that is the done thing in the states, but not really over here. As well as this, he plans to rear his very own queens which is quite the ambitious task. Paul has some great posts for beginners where he shares what kind of equipment is best and will not cost a fortune. 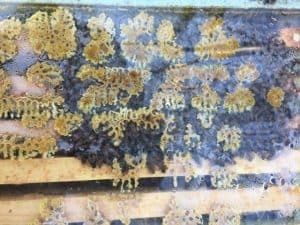 This is a very well written blog that has a ton of great advice and just reading about Paul’s own beekeeping journey is a lot of fun. We dare you to try and say Mrs Apis Mellifera five times fast. 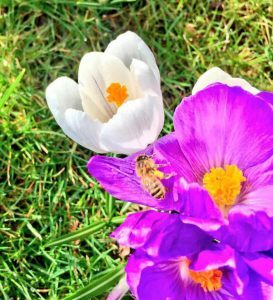 Emma Maund from London has a very special relationship with her bees and that really does come across in her fun and informative blog posts. As well as lots and lots of good posts about her bees, Emma also has many blog posts about nature and even aromatherapy which is a big passion of hers. While we came here for the bees, we must admit that we found all her other blog posts very interesting as well. We know that most of you will be interested in her bee keeping skills and tips, but family is also something that is very important to Emma and we are certain that is one of the reasons her blog is so popular.